India for the first time hinted that it would unilaterally and voluntarily try to curb carbon emissions that cause global warming, ahead of its participation in an important round of global negotiations in Copenhagen to hammer out a climate change deal. Limits will be imposed on the amount of carbon spewed out by five key activities that account for most of the country’s harmful emissions. 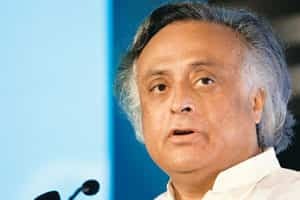 Union minister of state for environment and forests Jairam Ramesh said on Friday that this move could be backed by domestic legislation, which will also set emission targets for the year 2030. He was addressing a conference with Danish Prime Minister Lars Lokke Rasmussen, who is in India to discuss climate change issues with Prime Minister Manmohan Singh. Ramesh said it was time for India to stand up and be counted as a “positive player" in the international talks on climate change and that the country needed to undertake mitigation projects not just based on international financial support, but also for its own people. “Demonstrating a proactive stance is really important in order for India to urge increased action from industrialized countries. Depending on details, this might be such a stand," said Navroz Dubash, senior fellow at the Centre for Policy Research, a think tank. India and China have had severe disagreements with the developed countries during climate change negotiations. The two countries have insisted that they should not be asked to cap their emissions, since they are still low on a per capita basis and that such limits would harm their march away from mass poverty. Ramesh had in July lashed out at what he described as pressure from developed nations on India to accept binding limits on emissions, in a meeting also attended by visiting US secretary of state Hillary Clinton. The measures that are being considered as part of the mitigation options are mandatory fuel efficiency norms by 2012, power generation from clean coal technology, 15-20% of total energy generation from renewable energy (excluding hydro power), reduced emissions from agriculture and all public buildings to be “Energy Conservation Building Code" compliant by 2012. According to a recent report on climate change by consulting firm McKinsey and Co., the five biggest carbon spewers in India are power, industries such as steel and cement, habitat, transport, agriculture and forestry. “We cannot avoid coal. Coal will continue to be the base of our energy economy," Ramesh added. “This is a signal to the world that don’t mess with us, and that we will take mitigation action and monitoring domestically. It is like the FRBM Act. It was passed in order to create the consensus for fiscal prudence domestically," added Ramesh. The FRBM Act (Fiscal Responsibility and Budget Management) is a bipartisan legislation to keep government deficits within defined limits.